Meters are read close to the same date every month. The majority of the City of Van Buren Municipal Utility meters are electronically read by a handheld computer device that sends a read from the meter to the handheld computer. This device will only send the read from your meter to your account, therefore eliminating misreads and errors. Water and Sewer consumption is recorded and billed to the customer in 1000 gallon increments. STEP 1 Locate your meter box, generally found towards the front of a property, near the street. STEP 2 Once you open the meter box lid, lift the protective cap on the meter. On the face of the meter, there is a large dial and a display of numbers. 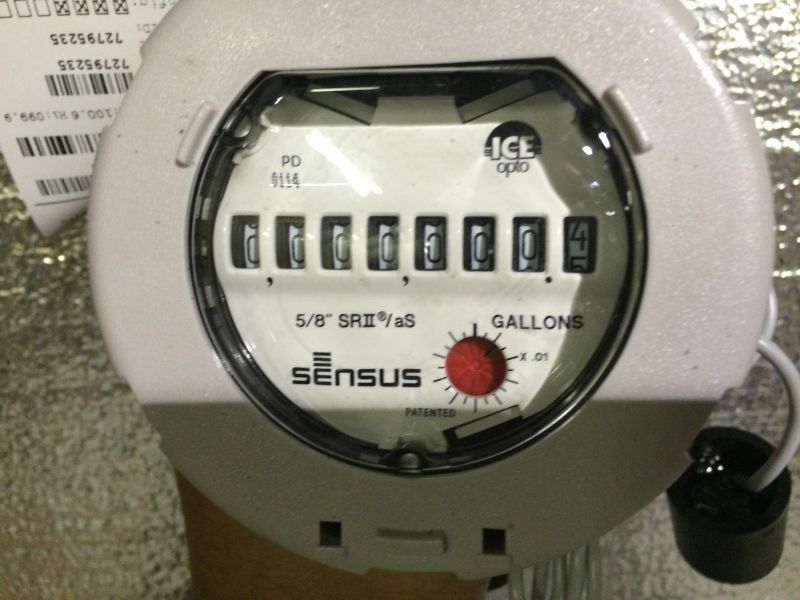 For the residential meter, each rotation of the dial measures 0.1 to 10 gallons (depending on the meter). Read the number display from left to right. Be sure to include the stationary zero (when applicable). This is your meter reading. Meters measure water in gallons. Charges for the amount of water consumed are billed in thousand gallon increments during a billing period.